TV with Thinus: 'The entire Soweto watches us': Zee Africa boss, Harish Goyal, on the origin-story and growth of the Zee World channel that has now led to the first-ever Bollywood drama series, Mehek, that includes an African cast. 'The entire Soweto watches us': Zee Africa boss, Harish Goyal, on the origin-story and growth of the Zee World channel that has now led to the first-ever Bollywood drama series, Mehek, that includes an African cast. Mehek, a new African-infused Bollywood telenovela starting on 6 April at 21:00 on Zee World (DStv 166), is an African first and marks a bold step forward for Zee World that has just turned 4 years old, testing the appetite and demand under African viewers to see black characters reflected back in Bollywood and introducing a cross-cultural love-story romance in a first-ever Africa-Bollywood drama series adaptation. Mehek came about when Zee Africa was presented with the opportunity to adapt the Bollywood telenovela Zindagi Ki Mehek (Essence of Life) from Zee after filming in India but before the studio sets in Delhi got struck and while the Indian cast was still available. 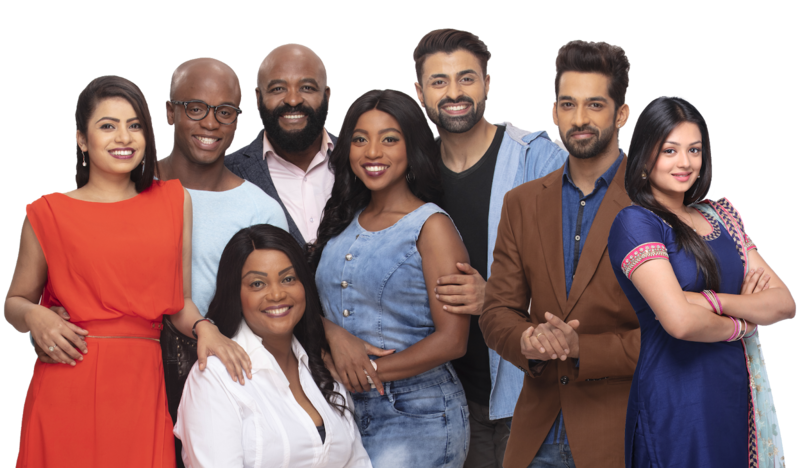 Zee Africa jumped and in record-time got an African cast from South Africa together who went to Indian to film new scenes and an integrated story. With new scenes filmed at a furious pace between October and December 2018 using the same directors and writers, Zindagi Ki Mehek was re-edited with the newly written script and filmed scenes to create the re-imagined and adapted version, now localised for African audiences with the Gabela family inserted. While Mehek (still) refers to Mehek (Samiksha Jaiswal), a passionate chef who falls in love, Mehek now include the Gabela family that moved from Africa to India after son Dennis (Kamogelo Mogale) has been accused of a crime, father Eddie (Ndaba ka Ngwane), mom Leleti (Nomava Kibare) and daughter Norah (Shonisani Masutha) who falls in love with Karan. Talent agency Thespians provided the actors for the Gabela family with agent Marius Meyer who lived together in the same accommodation in India for the duration of filming. 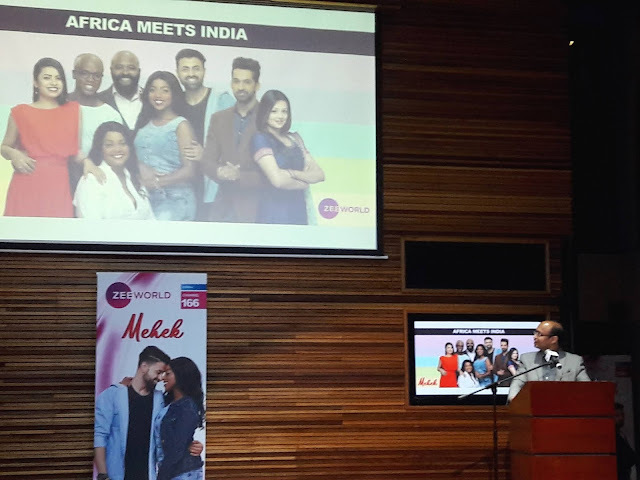 "Our extraordinary journey started 4 years ago on 3 February 2015 when we launched Zee World," said Harish Goyal, the CEO of Zee Africa & Asia Pacific, at Thursday evening's media launch event of Mehek in Johannesburg. "Zee World was launched with 4 fresh hours per day, Monday to Friday. Then, within a year, we introduced our 5th fresh hour and it became 5 new hours per day during prime time during 2016." "Then, last year we started with new content from Monday to Sunday on Zee World. We are one of those very few companies who did this where we brought fresh hours on Saturday and Sunday. So we did something that was different, and this delivered the performance" for the channel that is now available as an HD channel across sub-Saharan Africa. "Zee came to the African continent and South Africa 20 years back. When we came 20 years ago we thought Bollywood and Indian drama will appeal to South African Indians, so we brought on channel 452 the channel ZEE TV on MultiChoice's DStv," said Harish Goyal. "Programming was in Hindi with English subtitles and we remained happy and content for 13 years. Then we discovered that the content has a very big appeal under African viewers - African mainstream viewers who watch it." "So we were chasing 1.5 million South Asians where actually the market was 1 billion Africans. What we discovered was that the content has to be brought in a language that Africa understands. The research that we did 7 years ago showed that there's a great cultural relevance between India and Africa - our joint love of food, music, dance, and family values." "People thought there must be a big cultural difference between India and Africa and the answer is no; there is a very big cultural relevance. Finally, when we launched Zee World, the results show that the entire Soweto watches us,' said Harish Goyal. "We started asking in 2016, 'When are we going to start seeing ourselves on the channel?' That is when the idea started of bringing local content to Zee World. Of course it takes time. Finally, we're starting to see African stars with Indian stars, working in India." Ratna Siriah, head of business at Zee Africa, at Thursday evening's launch event said "a big thank you to my marketing and programming team in Africa and the producers in Indian who made Mehek happen in a very, very short time". "The African actors know how difficult it has been for them as well - and everyone pulled through." "The journey of Mehek - as Harish Goyal spoke about the journey of Zee World - finally it had to come to that. Mehek is here because of the success of Zee World in Africa that we have seen," said Ratna Siriah. "The key question we started getting from viewers was 'When will they see themselves as part of Bollywood?' I think with Mehek that is what we have finally achieved where we have brought Africa and India together on one screen." "This has happened for the first time in the history of Bollywood series. This hasn't been done before. This is the first innovative step; something that Zee has taken." "The story of Mehek revolves around an orphan girl called Mehek. Mehek in Hindi means 'fragrance' and you associate that word with food; the fragrance of food, the fragrance of flowers - everything that is nice and beautiful is called mehek," explained Ratna Siriah. "So you could have a person who has a beautiful personality and I would say 'The mehek of that person is beautiful'. So it's a fragrance that comes from everything that is beautiful." "So Mehek's whole story revolves around cooking. The story has love, it has betrayal. It has revenge, it has forgiveness. And now to add into the mix of all that we have the Gabela family from Africa that's arrived in India and they are trying to find their place in a country where the culture at the outset looks very different." "Slowly they come to know, as we've learnt here in South Africa and Africa, that it's not all that different - that we all can live together. "In Mehek the family's daughter Norah (Shonisani Masutha) is not at all happy when the family moved to India at all and you will see her throw all sorts of tantrums. But of course, she finds a very hot someone ..."
"The family finally makes India their home and you will see all of that in Mehek that has over 200 episodes with a new episode daily. There's a lot of drama coming in Mehek." "The story of Mehek puts a spotlight on the connection between Africa and India," says Ratna Siriah. "Our dances may be different, but our passion for dancing is the same. Our families may be different, but our respect for our elders is the same. Our fashions may be different, but our flair for colours is the same. Finally, our food may be different, but our love of food is the same - and that is what Mehek bring together on Zee World as our latest series." ALSO READ: The first Bollywood TV production with African actors in the cast and filmed in India, Mehek, to premiere on Zee World in April. ALSO READ: IN IMAGES. 30 photos of the media launch of Zee World's Mehek drama series in South Africa as the first to feature the inclusion of an African cast. 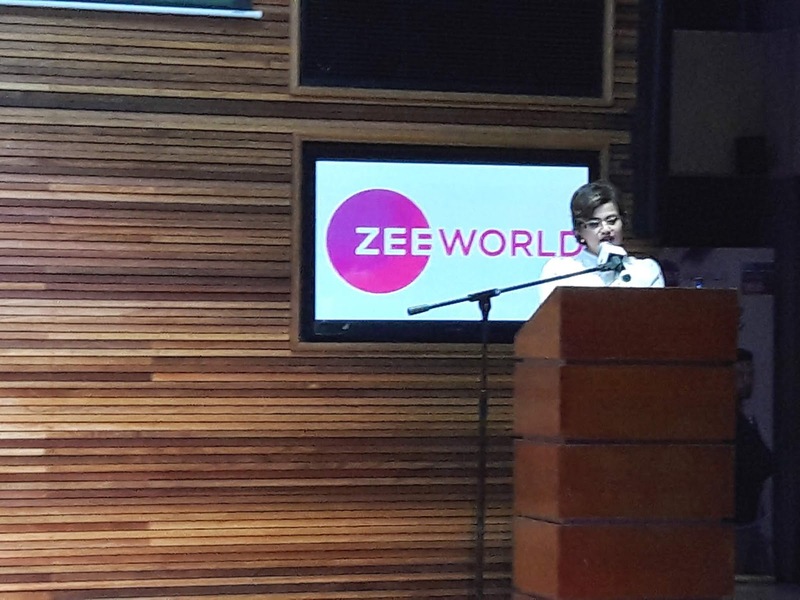 ALSO READ: ZEEL's Zee World channel celebrates 4 years in Africa with phenomenal viewership growth for its Bollywood content; first locally-produced content to be broadcast from April 2019.